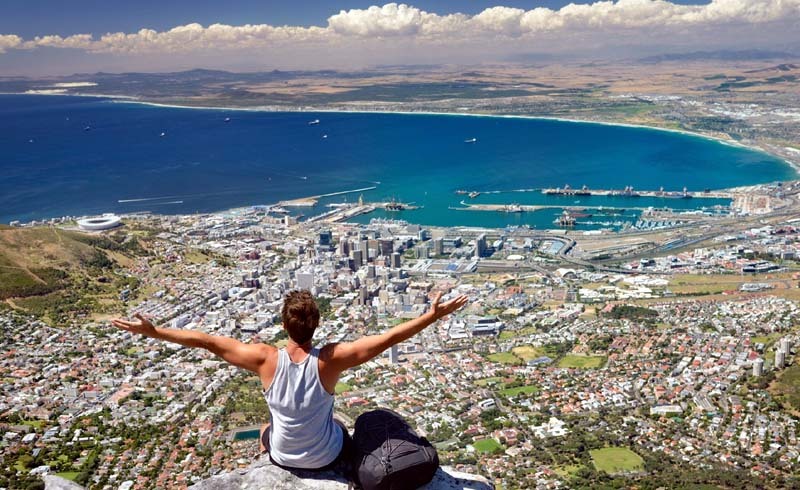 With wind-whipped waves guaranteed and Table Mountain National Park taking up three quarters of the peninsula, surfing, hiking, mountain biking and rock climbing are all hugely popular. For adventures such as shark-cage diving, skydiving or paragliding, you’ll need to travel out of the city or wait for the ideal weather conditions. It’s not all about thrill-seeking either, with opportunities also to learn to cook the local cuisine and go foraging for food along the shoreline. Cape Town's reputation as a rather laid back place, is reflected in its nickname ‘Slaapstad’ which means ‘sleepy town’ in Afrikaans, the local lingo. All very strange as the Mother City and its surrounds are stacked with opportunities to stay awake and get active. Indeed, adventure sports operators here are lining up to make sure you don’t go home without having experienced an adrenaline rush. 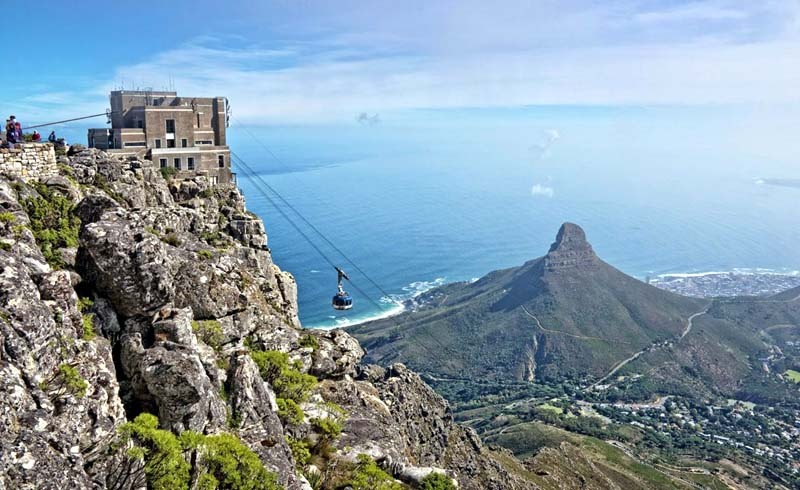 Stretching from Signal Hill to Cape Point, the 220-sq-km Table Mountain National Park includes granite and sandstone mountains, boulder-strewn beaches and shady forests – all locations for a host of activities, including cycling, climbing, water sports and wildlife watching. The top activity is hiking. Consider hiring a guide so you don’t get lost – trails are rarely clearly marked and it’s certainly safer following a local who knows where they are going. The best guides will teach you about the Cape floral kingdom, which coats the park in an amazing array of fynbos, the indigenous vegetation. On clear days the views from the top of Table Mountain are stupendous. For an added frisson contemplate the view while dangling from a 112m rope over Kloof Corner Ridge with Abseil Africa. Don’t even think of tackling this unless you’ve got a head for heights. Abseil Africa also offers kloofing (canyoning) trips around Cape Town. The sport of clambering into and out of kloofs (cliffs or gorges) also entails abseiling, climbing, hiking, swimming and jumping. Sightseeing boats regularly sail out of Hout Bay Harbour and past the Sentinel, a steep sided cliff that guards the entrance to the bay. Their destination is Duiker Island, a tiny cluster of rocks that barely break the water's surface. It is also known as Seal Island because it is home to a colony of more than 10,000 Cape fur seals. Choppy waves and the evil smelling seals on the island don’t make for the most pleasant of experiences, but all is forgiven if you team up with Animal Ocean – its expert guides will get you into the water to go snorkelling or (for those qualified) diving with the seals. The frigid Atlantic waters are shark free, and all necessary gear, including thick neoprene wetsuits to keep you warm, is provided. It also rents GoPro cameras so you can also capture every second of your close up encounters with the playful, curious seals. Trips run only from September to April and are weather dependent. 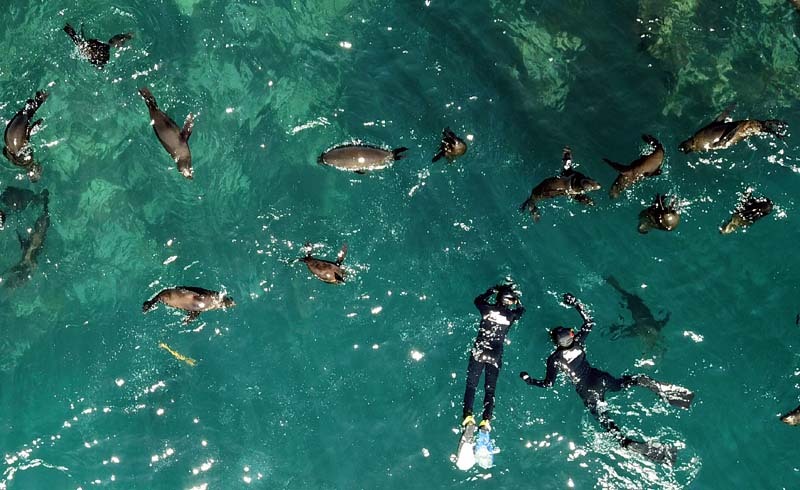 Sightings of more seals as well as African penguins, giant sun fish and Heaviside’s dolphins, South Africa’s only endemic species of the sea mammal, are also common on the daily paddles offered by Kaskazi Kayaks. Based at Three Anchor Bay, this friendly outfit runs two-hour guided kayak trips (again weather dependent) either towards Granger Bay or Clifton. 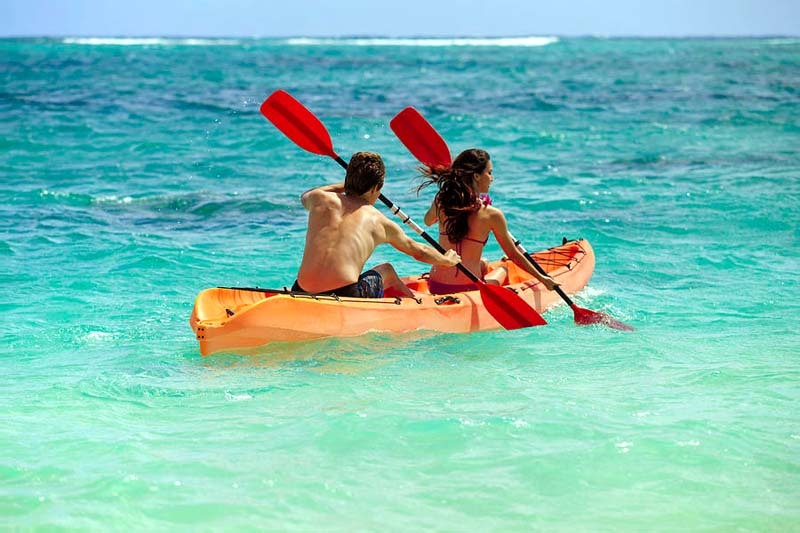 Double seater kayaks are used, which are more stable than singles and less effort to propel, even for novices. 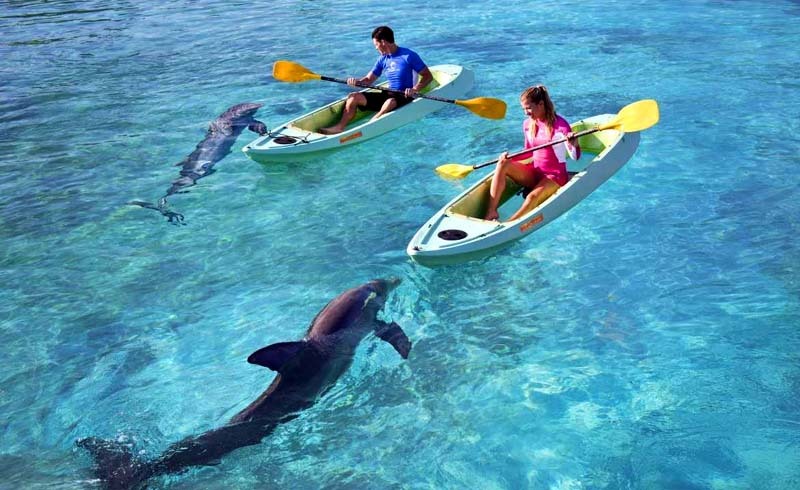 Chances are high that you’ll be joined by a pod of Heaviside dolphins – they love to swim alongside and under the kayaks and, if you’re lucky, you may even see them breach. Sightings of southern right, Bryde’s and humpback whales in season (July to December) are also on the cards. Year round there are astounding views of the mountains, rocky coastline (scene of many a shipwreck) and Cape Town Stadium. Look to the skies to spot the next must-do activity. Signal Hill and Lion’s Head are prime launching sites for paragliding. Would-be James Bonds can soar into the skies on the thermals, glide around high above Sea Point and land close enough to the Camps Bay bars for a congratulatory cocktail or beer. Among several operators is Cape Town Tandem Paragliding – they can arrange a tandem paraglide, where you’re strapped to an experienced flyer who takes care of the technicalities. 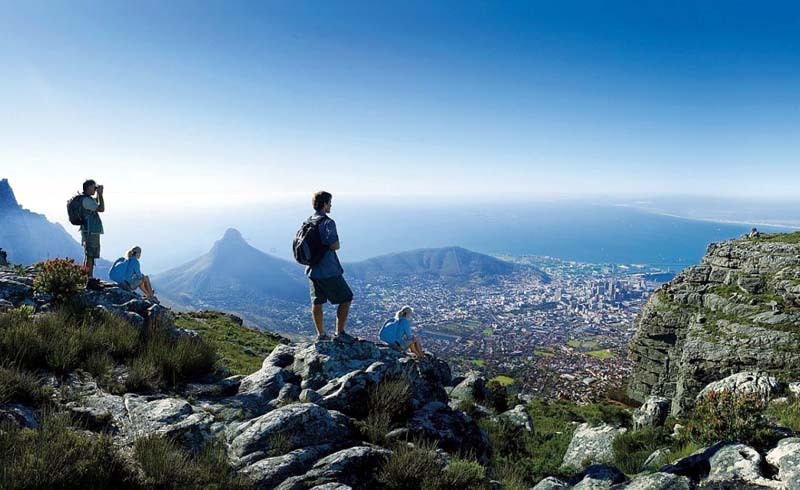 Make enquiries on your first day in Cape Town as the weather conditions have to be just right. If you’re determined to fly through the air regardless of the weather, then sign up for a zipline adventure where you slide down a taught wire strung across plunging valleys. SA Forest Adventures operates one of South Africa’s longest ziplines, made up of seven sections zigzagging across a ravine on the Silvermist wine estate in Constantia. There's little shade on the rocky hillside but the views are great. Much better is the zipline of 11 slides, 13 platforms and a swing bridge created by Cape Canopy Tours in the ruggedly beautiful Hottentots Holland Nature Reserve, about an hour’s drive east of Cape Town. One of our favourite activities in the Mother City is learning to cook like a Cape Malay mama. 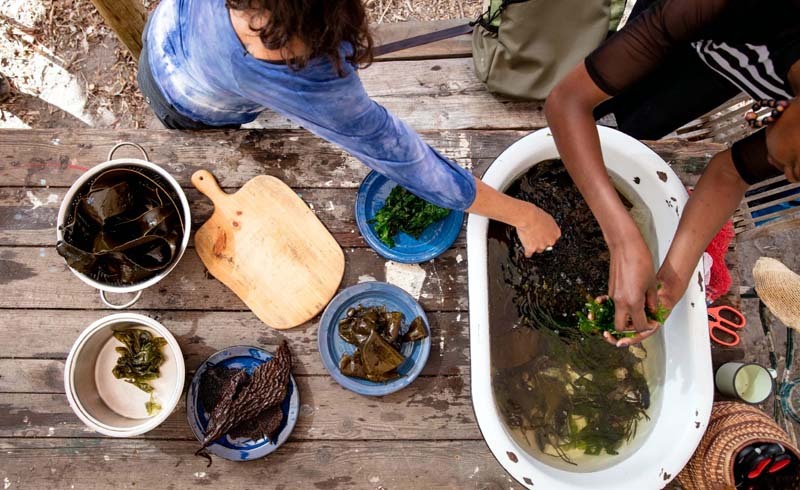 Gamidah Jacobs of Lekka Kombuis will show you how to make perfect samoosas, dhaltjies (chilli bites), rootis (flat breads) and chicken curry at the classes she runs in her historic turquoise-painted Bo-Kaap home. On Saturdays closest to the new or full moon (to ensure the lowest tide) Roushanna Gray from Good Hope Gardens Nursery near Cape Point, runs foraging trips among the rock pools at Scarborough. Learn sustainable techniques to harvest mother nature’s edibles, including myriad types of seaweed and shell fish (you need to get a license for this from any post office). Lunch incorporates what you find and you may also get to sample a seaweed face mask!